It’s a double benefit - get to entertain yourself and train your ear to the English language! From the previous century, here are some of the greatest US movies ever made. 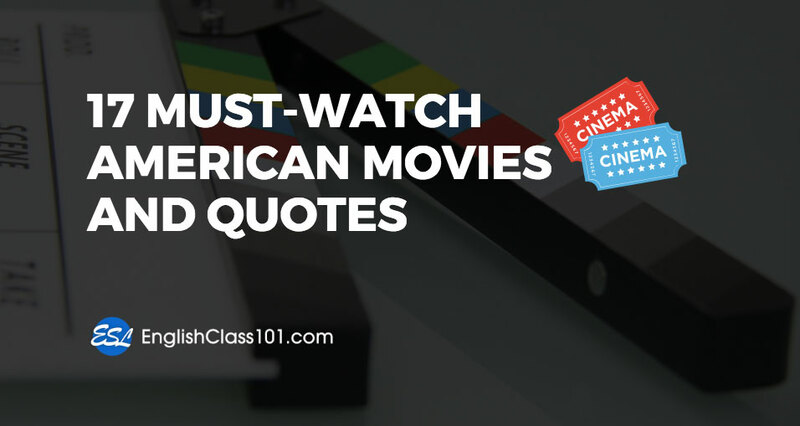 Working through this American movie list will keep you busy for hours and hours, polishing and integrating the English you learn at EnglishClass101! 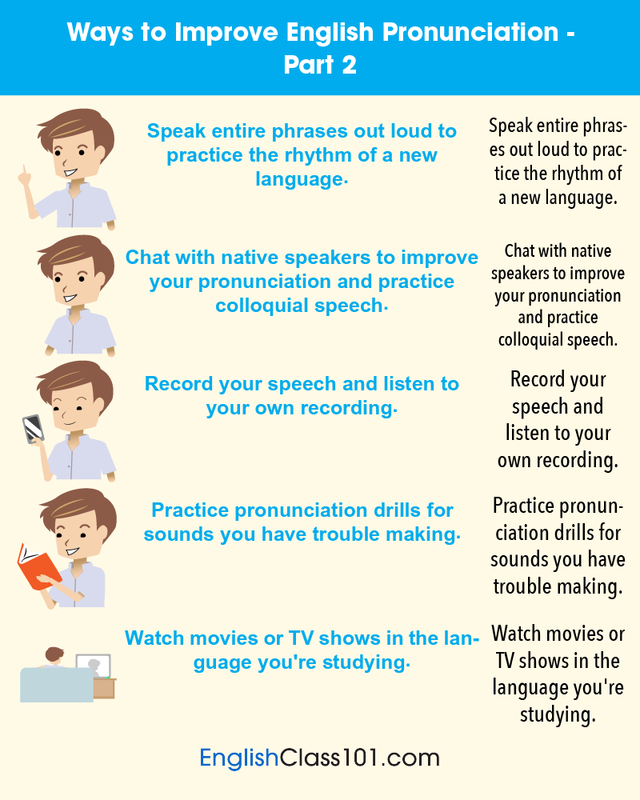 Here are some tips to improve your pronunciation while watching movies in English. Why Watch English Movies to Improve Your English? 1. Why Watch English Movies to Improve Your English? Learn to Speak the Way Natives Do. Watching movies and listening to radio shows will help train your ear to accents, pronunciation, and expressions native to the language. Movies Give Cultural Insight. You’re very likely to pick up a lot about the culture associated with a language in movies—a good idea if you plan to travel or work in another country. You can also learn a lot about the history of a culture this way. Gives You Something to Talk About. Movies provide great topics for conversation. And imagine how impressed your English friends will be when they learn that you watch their movies! Watching Movies is Entertaining. Films provide a great break from books and formal learning, which makes the process more enjoyable. Also, we learn more easily when we enjoy the process! Watch The Actors’ Mouths as They Speak. Another definite plus is that you get to watch the faces and mouths of native speakers as they talk. This could give you an idea of how to pronounce certain words and sentences, as well as the context for some idioms and slang. What are your favorite movies in your language? Find these American movies online for streaming, or rent or buy a copy. We also picked out the most famous quotes from these movies to share with you—see if you can spot them while watching! Without further ado, here are some of the best American movies to watch while learning the language! The famous US movie Citizen Kane was an American drama released in 1941. The movie starts with the death scene of Charles Foster Kane, an extremely wealthy media mogul. In his last moments, Kane is heard mysteriously whispering only one word: “Rosebud”. The Eighties brought an unforgettable US movie blockbuster, this time in the science fiction genre. Heartwarming E.T. the Extra-Terrestrial was directed by Oscar-winner Steven Spielberg, regales with the story of a cross-specie friendship between a wrinkled, knee-high alien and Elliot, a lonely 10-year-old boy. Elliot rescues E.T from a government search party, but soon E.T falls ill because Earth is not his home. Gone with the Wind is a 1939 US movie that depicts the southern US state of Georgia during the Civil War and the Reconstruction period. It was adopted from Pulitzer-winner Margaret Mitchell’s novel of the same name. Another Spielberg success, super-scary Jaws topped nearly every US movie list in 1975, and was based on a novel by Peter Benchley. It tells the riveting story of an enormous killer shark with a taste for human blood, and, of course, the human hunt to kill it. The shark becomes a truly menacing entity in the film, appearing to target those who hunt it, and also eliciting one of cinema’s greatest understatements ever. Sheriff Brody, after ogling the monster for the first time, tells fellow shark-hunter Quint with wide eyes: “You’re gonna need a bigger boat”. If you like scary, this is one of the top US movies to watch in the thriller genre. In 1937, Walt Disney animated the famous fairy tale, Snow White and the Seven Dwarfs, for which he received an honorary Oscar. The story itself needs no introduction, as most Westerners probably know it from childhood. One of its most famous quotes comes from the lips of Grumpy, the surly, pessimistic dwarf, as he grumbles about Snow White joining the Seven Dwarf family: “Pretty soon she’ll be tying your beards up in pink ribbons and spraying you down with that stuff called, uh, perfoom”. Star Wars (A New Hope) is one of six films released in the 1977 Star Wars saga, brainchild of screenwriter and director George Lucas. This US movie is part of a series that still proves of the most enduring hits of all time in the sci-fi genre. Basically, the film tells the tale of rebel freedom fighters in a civil war against the repressive Galactic Empire, and it even succeeded to land its own commemoration day - Star Wars Day. The date was derived from the movie’s most famous quote: “May the Force be with you”. These words were soon reworked to the mildly funny pun “May the Fourth be with you”. The Godfather was an epic 1972 story about the rise of a mafia crime family, the Corleones, and specifically about the rise of Michael Corleone, who takes over from his aging father, Don Vito Corleone. It’s brutal, bloody and was a fantastic box office hit that led to another two Godfather movies. This one is replete with quotable quotes, but a lesser known, excellent quote came from the character Calo, who said: “In Sicily, women are more dangerous than shotguns”. True, that. Few people don’t know The Sound of Music, and its wonderful score. This American musical film was released in 1965, and tells the story of the Von Trapp family and, Maria, beautiful singer-nun-turned-nanny. The Von Trapps are a family of seven children, and a sad, austere father who is a Captain in the army against Hitler’s forces. He’d lost his wife and the mother of his children too soon. Obviously, Maria excels not only in her duties as a loving caretaker of the children, but also succeeds to win Captain von Trapp’s heart. Another evergreen, this US movie continues to regale all generations with its gentle love story and engaging tunes. One of the memorable quotes were uttered by Captain Von Trapp, addressing Maria: “You brought music back into the house. I had forgotten”. Another film that still enchants children and adults alike hails from 1939. Who doesn’t know The Wizard of Oz, with its adventurous tale of tornadoes and witches and lions and scarecrows, and, of course, a Kansas farm girl called Dorothy. Dorothy lands by chance in an enchanted land on an adventure that both scares and challenges her, and teaches her, above all, that there’s no place like home. Ben-Hur (or Benhur) is a 1959 epic film directed by William Wyler, the third film version of writer Lew Wallace’s 1880 fictional novel, Ben-Hur: A Tale of the Christ. The story is about a Jewish prince who is battling the Roman empire in the time of Christ. The film went on to win a record of eleven Academy Awards, including Best Picture - a feat equaled only by Titanic and The Lord of the Rings: The Return of the King. One of the wiser quotes from the film comes from Messala, who tells his friend Ben-Hur: “It’s an insane world, but in it there’s one sanity, the loyalty of old friends”. US movie Casablanca was made in 1942 and directed by Michael Curtiz. It’s a classic World War II movie with a story that centers on the life of a cynical nightclub owner, Rick Blaine, in the city of Casablanca in Morocco. The film relates the difficult, self-sacrificing choices Blaine must make for love when he has to choose between his love for an old flame, Ilsa, and helping her and her husband escape the Nazis and certain death. Probably the most famous quote from this US movie was a quintessentially American toast, originating from an 1884 novel written by an anonymous author. In Casablanca, Blaine uses it when he toasts Ilsa with: “Here’s looking at you, kid”. Forrest Gump is an award-winning 1994 American comedy-drama film based on a novel of the same name by Winston Groom. Anyone who doesn’t know Forrest Gump’s famous saying: “My momma always said, ‘Life is like a box of chocolates. You never know what you’re gonna get’”, has probably been living on a different planet all this time. The film, directed by Robert Zemeckis, stars Tom Hanks, Robin Wright Penn, and Gary Sinise. The story centres around Forrest Gump, a simple man from Alabama, and his journey through life meeting historical figures, influencing popular culture, and experiencing firsthand historic events of the late 20th century. Rebel Without a Cause was directed by Nicholas Ray in 1955, and tells the story of a rebellious teenager played by James Dean, who comes to a town, meets a girl, disobeys his parents, and defies the local high school bullies. It was an attempt to portray the moral decay of American youth, critique parental style, and exploit the differences between generations. The main star, James Dean, died tragically in a car accident a month before the movie premiered. Prophetically, his troubled teenage character Jim Stark says about his situation with his parents: “I don’t know what to do anymore. Except maybe die”. The famous 1952 musical comedy movie Singing in the Rain, starred Gene Kelly, Debbie Reynolds and Donald O’Connor. The film depicted the early Hollywood movie business with its transition from silent movies to “talkies.” Says Cosmo Brown in a bleak comment about “talkies”: “Talking pictures, that means I’m out of a job. At last I can start suffering and write that symphony”. Gene Kelly’s rendition of the song, “Singing in the Rain”, is still considered one of the best dance scenes in movie history. The inspiring and emotionally moving American drama, The Shawshank Redemption, was released in 1994 and is based on a Stephen King novella called “Rita Hayworth and Shawshank Redemption.” The US blockbuster stars Tim Robbins and Morgan Freeman as inmates at the fictional Shawshank State Prison in Maine, United States, and follows the story of mostly Robbins’ character, Andy Dufresne, who was imprisoned for a murder he didn’t commit. Andy overcomes many obstacles in prison, famously deciding that: “I guess it comes down to a simple choice, really. Get busy living or get busy dying”. The type of move you’d want to watch more than once. Psycho is a yet another Alfred Hitchcock thriller, this time starring Janet Leigh and Anthony Perkins. The film, which was released in 1960, follows a female motel guest and the motel manager who turns out to be a deeply disturbed killer. The movie’s shower scene is one of Hitchcock’s most famous scenes. Norman bates, the infamous killer, chillingly says: “We all go a little mad sometimes”. Watch what is considered to be one of Hitchcock’s best films to see just how mad Bates got. Another heartwarmer hailing from the nineties is this drama with its star-studded cast. It’s the charming story of a mathematical genius who works as a janitor, and who starts seeing a therapist as part of serving a sentence. Looking at English movies from 2018, this year’s firm favorite is singer Lady Gaga’s venture into cinema. This romantic comedy is the fourth remake of a classic with the same name. It was first screened in 1937, and the original is now in the public domain. This movie deals with the life of a successful but alcoholic country singer whose demons are catching up with him. Then he meets a cute bartender with an impressive voice, and decides to help her launch her career. Of course, everything changes for him. If scary is how you like your movies, this one’s to die for…as the masked monster Michael Myers hopefully will too, in this eleventh installment of the Halloween franchise. This Halloween is a direct sequel of the 1978 slasher of the same name. Biographical Bohemian Rhapsody is named after one of the great hits by the band Queen. This musical tells the story of the band from the vantage point of its lead singer, Farrokh Bulsara, a.k.a Freddie Mercury. Impressively portrayed by Egyptian-American actor Rami Malek, the film follows Freddie and Queen’s rise to stardom, ‘til the singer’s untimely death in 1991. A must-see for musical- and Queen-lovers, and a worthy watch for everyone else. You can watch the trailer to get a better feel for the movie. Bohemian Rhapsody was shot in both the U.S.A. and in England, so watch out for the British accents. 3. 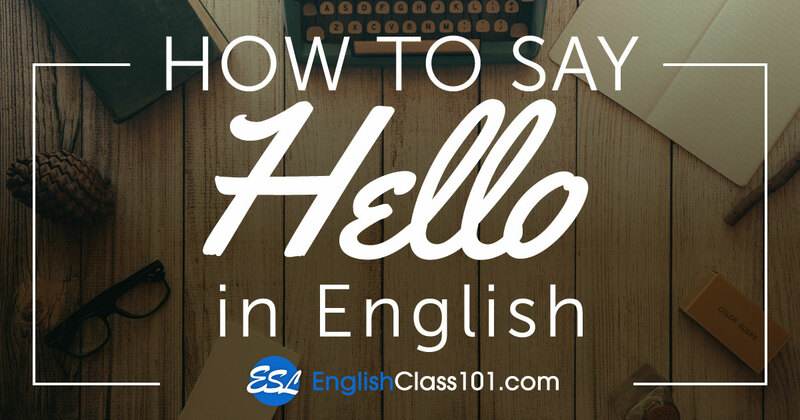 Why Enroll with EnglishClass101.com? 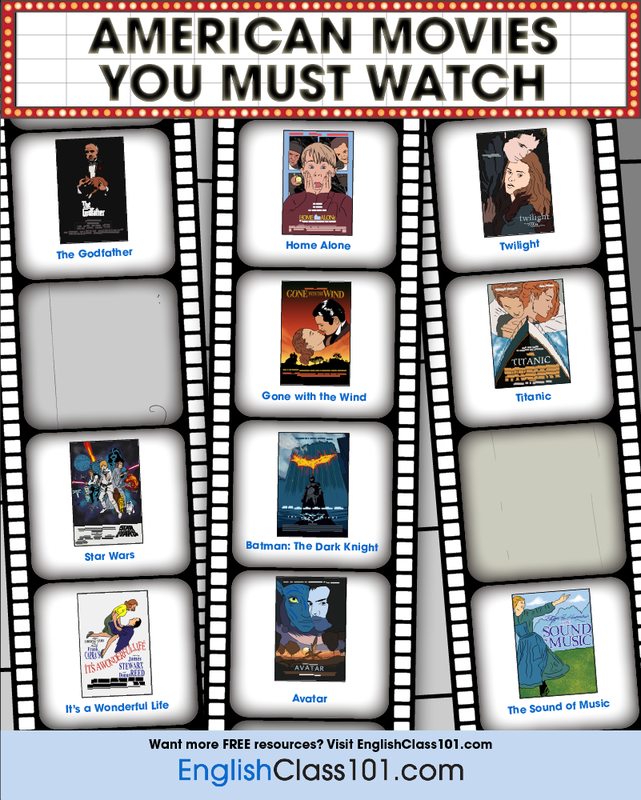 We hope that you found a couple of movies to suit your interest on our USA movies list. 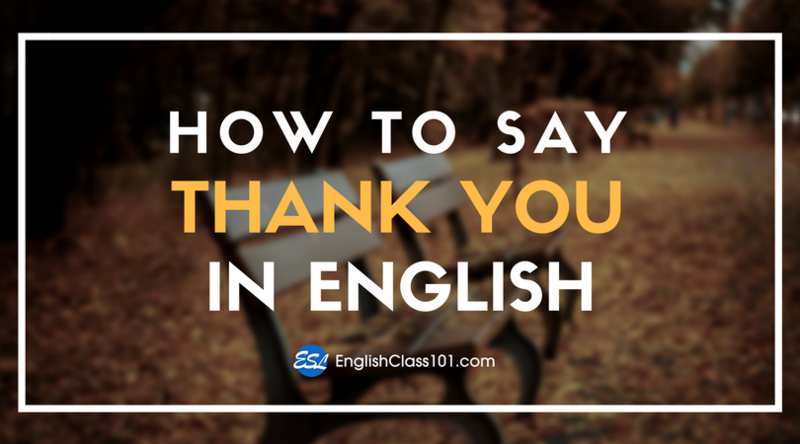 Memorizing the quotes and watching these entertaining English movies a few times will help you immensely in getting used to the spoken language. However, while this is a great tool, it won’t sharpen your technical and grammatical skills. All of this can be yours through EnglishClass101.com, so don’t wait—enroll now! It takes just seven seconds to sign up for a Free Language Learning Course to see what we’re about.